The best singer/songwriters embrace conflict, preferring to bare their soul in an effort to produce timeless music with universal truths. 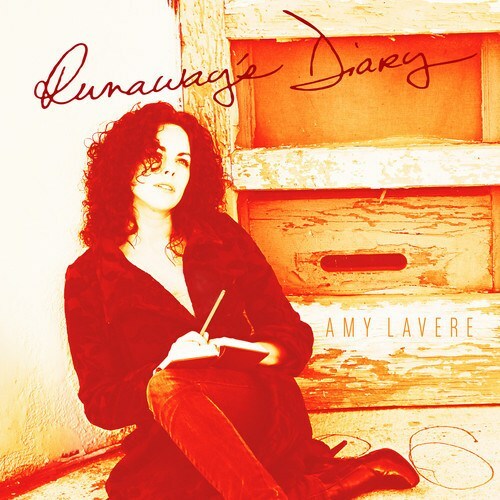 Memphis based Amy LaVere accomplished that on her previous three releases, especially with 2011’s Stranger Me exploring the emotional depths of her own broken relationship through twisty originals and even a Captain Beefheart cover. Her breathy, some might say girlish, voice exudes organic innocence yet her lyrics are often cloaked in dark undertones. She tackles another life story in this album whose succinct title lays out the concept of this song cycle about running away… and not just from home. LaVere mixes her originals with smartly chosen covers from John Lennon (“How?”), Townes Van Zandt (“Where I Lead Me”) and a few others to expand the leaving home thread into far more philosophical areas that include a world weary anxiety and lack of direction born out of childhood frustrations. Producer Luther Dickinson (son of legendary Jim who manned the boards for LaVere’s debut) keeps the sound relatively stripped down, even with a full band including dark, smoky sax work from veteran Jim Spake. That brings out the murky swamp in folk/country/roots rock songs such as the sexually suggestive “Last Rock n Roll Boy to Dance.” A few upbeat tunes like the retro rockabilly “Self Made Orphan” still convey deeper concepts of the difficulty of finding love in a life lived for music. Her version of Ned Miller’s 60s country weeper “Dark Moon” is a revelation as she dusts off the shadowy lyrics in a faithful rendition that shines fresh light on this dusky C&W obscurity. It’s another classy notch in LaVere’s slowly growing catalog belt and shows her boundary pushing, restless artistry results in music that’s heartfelt, reflective, challenging and consistently compelling.